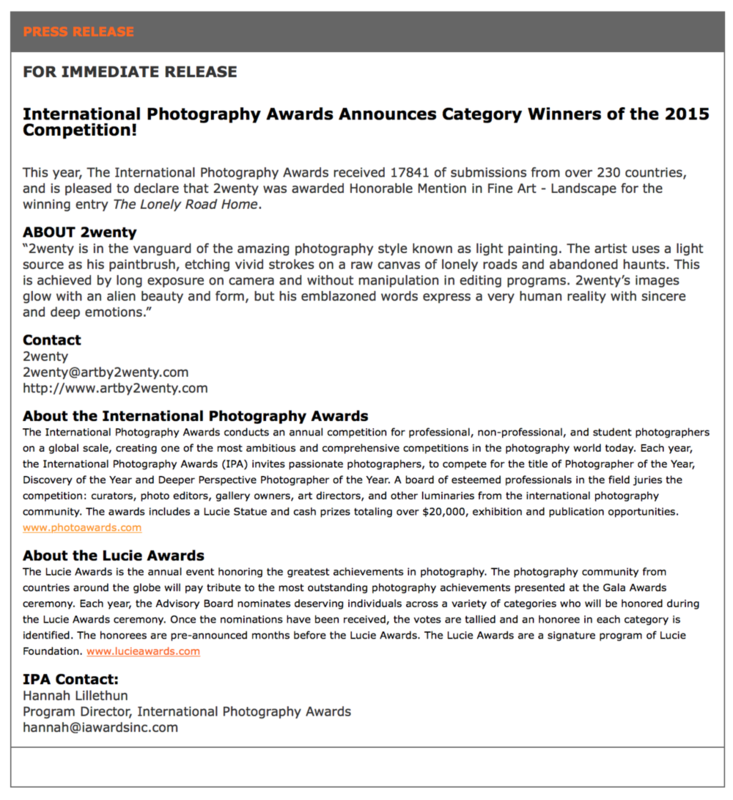 "2wenty was awarded in the International Photography Awards Competition. International Photography Awards (IPA) has announced the winners of Home's competition. 2wenty was Awarded: Honorable Mention in Home - Place category for the winning entry "Los Angeles."